As we work with the clients on a daily basis, we see more and more companies gravitating towards eLearning as a preferred mode of instruction. While the current global eLearning market is estimated at $170 billion, it is expected to grow with a compound annual growth rate of 7.2% to finally reach $325 billion by 2025. To put this number into perspective, the GDP of Israel, Hong Kong, and Egypt were $318 billion, $321 billion, and $332 billion respectively in 2016. Analyzing these numbers, it’s easy to say that the online learning industry is exploding. Increasing adoption of training solutions in the corporate landscape, irrespective of their industry vertical, is a major factor promoting the eLearning market growth. Every companies’ employee base can avail training experience that are customized to suit their learning speed and ability, and improve information retention through an interactive and rich media learning experience. 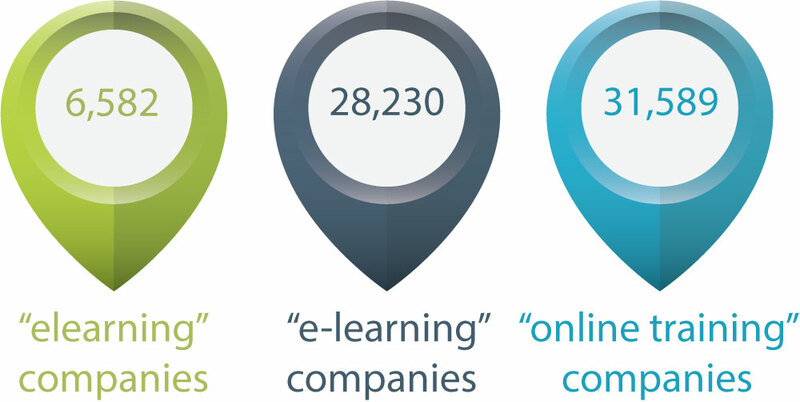 These numbers will only continue to grow as more companies realize the benefits of eLearning. Online solutions have the potential to continuously interact with the user, collect performance data, and give customized feedback. Furthermore, the students can immediately connect to a tutor or service provider in case of any issues and questions. We are very excited about the future of eLearning and proud to be one of the many great eLearning Companies working in this exciting global marketplace. Though, it’s important to mention, we see the numbers above are as a good sign not just for the education or learning and development industry, but an overall positive indicator of the current business climate. We know that when the businesses grow, they hire new people. When new people are hired, they need training. When training is needed, the demand for elearning companies who help businesses train and develop their staff increases. So the high growth and high demand for eLearning companies that we are currently witnessing is a broad sign of a world economy moving in the right direction. And this is something we all should be excited about.